BizzNtech | Why iPhone 4 is better than Android? Why iPhone 4 is better than Android? 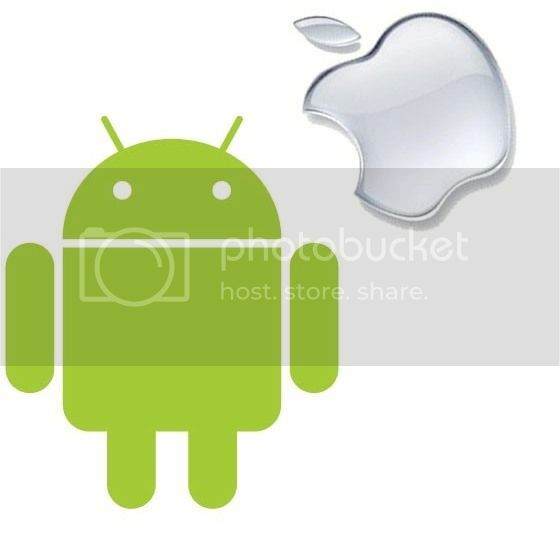 Ever since we have seen the green robot in the mobile world, a new war has begun between Android and iPhone users. Many Android users claim that Android is far better than the iPhone OS. It may be better on certain grounds but iPhone still remains the king in its kind. I’m pretty sure that I’m going to get flamed for writing this but that’s alright! You can do that after I finish with what I have to say. So, why is the iPhone better than an Android phone at the moment? The iPhone OS4 on the iPhone 4 is very stable and reliable. You hardly see it freeze or crash. I’m not saying that Android is unreliable or not stable but it does freeze sometimes. I have seen the latest version of Android, i.e; Gingerbread freezing! I’m pretty sure you too might have come across this. You also get annoying error messages that pop up randomly in Android. This is really annoying. I launched the Talking Tom app both on the iPhone 4 and the Galaxy S. And, guess what? The app on Samsung Galaxy S was not as smooth as on the iPhone 4. Also, it took more time to open and close than the iPhone. The iPhone OS has the unique Mac OS feel. It is very eye candy and highly responsive. I haven’t seen any Android phone till date that’s as fast and responsive as the iPhone. Moreover, when it comes to looks, Android is nowhere closer to the iPhone OS. For a new user, iPhone is much easier to operate than an Android phone. Lastly, the Retina display in the iPhone makes it crystal clear unlike any other phone. The App Store has everything you need for the iPhone. All the apps you need are available at one place. But, this is not the same case with Android. Android has its apps spread over markets. And, there is no one place where you can browse all the Android apps. Moreover, the apps on the App store are much more reliable as they are subject to strict app approval procedure by Apple. The Apps that you see on Android are mostly rip offs from the App store and moreover they don’t seem to be so polished as the iPhone apps. 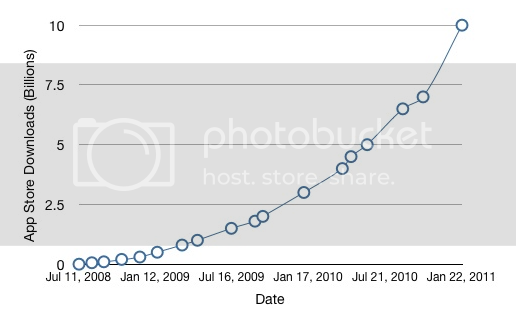 As of Jan 22, the App store had 400,000 apps and according to macrumors.com, App Store reached 10 billion downloads since its inception in 2008! We all know the iPhone/ iPod for its amazing music player. There’s nothing till date that actually comes close to the music player. Even though iTunes is a bit complicating for a new user, he finds it easier and convenient that other media players once he gets used to it. Also, Apple iPhone also provides a much cleaner and better photo-viewing experience than any other similar Android products. The iPad can be taken as the best example. One can easily buy and rent TV shows and movies straight from the devices through iTunes. 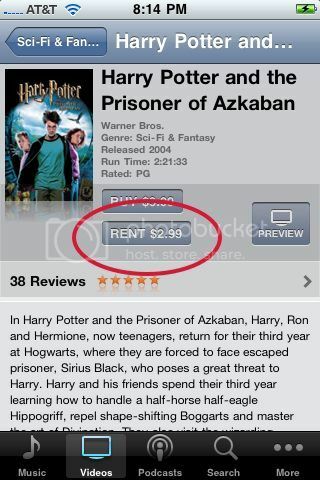 But, this isn’t easy on the Android as there is no stand-out source for video rentals and purchases. This makes an Android phone look like a poor choice if you’re interested in videos. Security is a major concern these days when it comes to computers and mobile phones. Well, we all know that both the iOS and Android have some vulnerability. But, we haven’t heard of any particularly damaging attacks. Whatever may be the case, it is clear that the iPhone has “taller castle walls” and appears to be stronger and defensive. If you’re planning to buy a speaker charging dock for your Android phone then I wish you good luck in finding one! Even, if you do find one, I’m pretty sure that the pricing is going to be really high. The micro-HDMI support in Android is certainly great, but unfortunately there are hardly any multimedia charging and docking stations for Android phones to choose from. I’m not saying iPhone is the best but I would definitely say that it is better than Android. Android and iPhone OS are not the same! They are two different things. I would say that Android is for hackers, geeks and techie people who like to customize every bit of their phone. But, iPhone is for people are interested in music, videos, gaming, style and simplicity. Anyone begs to differ?